My concern is Where to fit the TomTom? On the current model you have the perfect location, Eye level and above the Instruments with some protection offered by the (touring) screen. 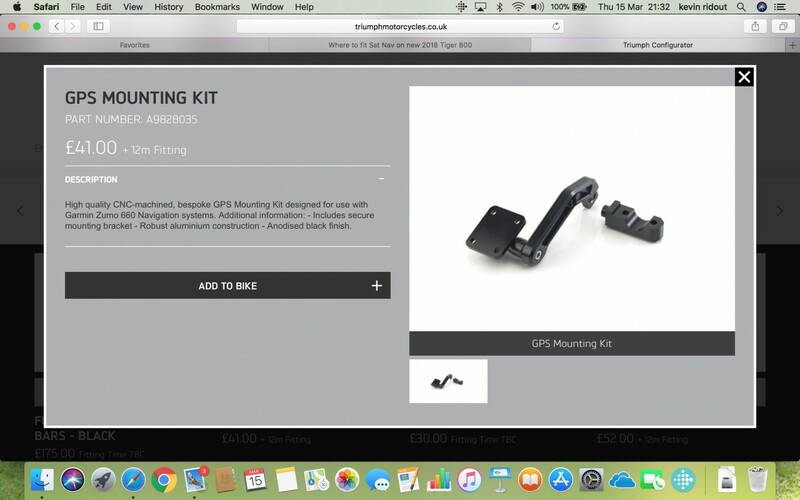 It looks like Handlebar mounting is the only (less than ideal) option on the new model. Has anyone looked closely at this issue? I can almost guarantee that Triumph will come up with a (expensive!) GPS mount option. I think there would be a chance of running a bar from the upper fixings on one side of the bracket top to the other, and putting a satnav on that, which would place it nicely just above the instruments. You could probably bolt the satnav cradle direct to said bar, avoiding that mucking around with RAM mounts. Yes, I looked at this and thought exactly the same, the screen mounts don't look strong enough to carry a sat nav unit. Sat Navs aren't that heavy. Seems the screen mounting is tailor made for the job. How strong do they have to be to resist the push of a screenful of wind at quite a lot of mph? I would look at this very carefully before I proceeded. 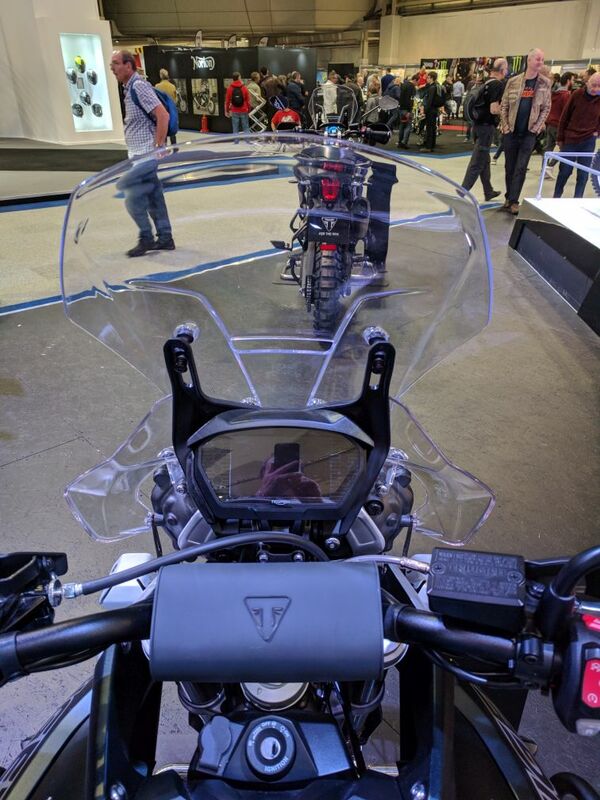 People said exactly the same thing about the Africa Twin and mounted GPS units on the horizontal bar that supports the screen above the instruments. Then they went off road and onto rough roads. Then the bar broke. Then Honda said no warranty Charlie that bar is not designed to accept the weight of a GPS on rough terrain so you are on your own. Keep in mind that as those brackets are part of the bike they have to pass all sorts of safety tests including that they will break easily enough if a rider goes over the bars. They are designed to be only as strong as the absolutely need to be. I'm sure the aftermarket people who are not really required to meet the same safety standards as the manufacturers will no doubt come up with something soon enough but I would be waiting to see what options appear and how well they work and in the mean time running a handlebar mount. One more thing. I thought that those slots were designed to allow the screen to slide up and down. Fixing a bar across there may mean no more screen adjustment. Looking at the screen mounting bottom bolts, they appear to be spaced out from the back of the instruments.